Goals keep teams on track and focused on the right activities. 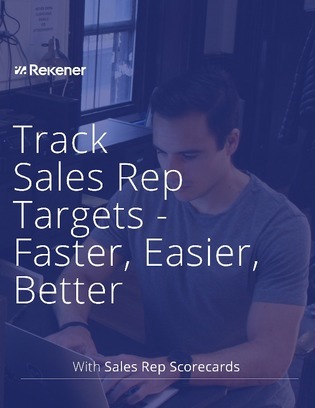 Most companies want to track sales rep targets, and performance against those targets. If you have a good understanding of your business, you can create very useful targets to guide reps toward doing the right set of activities that will help them hit their overall quotas. But it's hard to track sales reps against their targets. In this white paper, learn how sales rep scorecards can be used to track sales reps performance against targets by integrating with Salesforce or Hubspot CRM.